There’s a common idea fluttering in the ether of America that people are reading less. Ask the average person on the street whether they think people are reading more or fewer books, and you’re bound to get a dismayed response about kids these days. But here’s the thing: Kids these days are reading a ton. 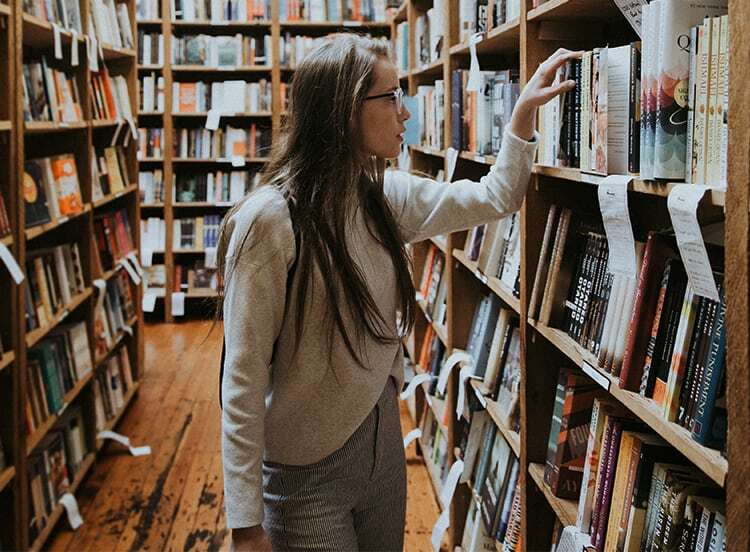 In fact, a Pew Research study found that millennials are reading more books than any other demographic, and not just on their fancy e-readers either. No, young readers today vastly prefer their books the old-fashioned way. And can you blame them? There is more to read now than ever and not just on a phone. This year saw a huge variety of books published by a broad array of diverse authors who opened our worlds up to imaginative new highs. Here are a few of our favorites. Rod Dreher’s “Strategy for Christians in a Post-Christian Nation” offers an interesting, thought-provoking and yes, controversial idea about how Christians should live in the modern world. The book is based on the teachings of Benedict of Nersia, who, in the fifth century retreated for years from civilization to focus solely on the pursuit of God—only to return three years later with a new idea about what community should look like. Dreher doesn’t exactly suggest a complete disengagement with culture, but rather examines what Benedict himself learned about God and community during his time alone, and explores what kind of impact this level of devotion could have today. It’s a fascinating book, that’s well-written and both intellectually and spiritually challenging. Pastor Brian Zahnd once had a framed copy of Jonathan Edwards’ 1741 sermon “Sinners in the Hands of a Angry God”—which helped spark a Great Awakening in America—in his office. But since then, he’s begun to question the theology of a wrathful God who delights in punishing sinners, and has started to explore the real nature of Jesus and His Father. The book isn’t only an interesting look at the context of some modern theological ideas; it’s also offers some profound insight into God’s love and eternal plan. David Grann’s stirring book takes a deep dive into an almost-forgotten chapter of American history. In the 1920s, dozens of Osage native Americans were brutally murdered. The killings came after massive oil findings on their tribal land made many within the community fabulously wealthy, leading to a string of violence fueled by racism and greed. The killings also helped launch a new investigative unit that would become the FBI. You may want to read this one soon: Martin Scorsese and Leonardo DiCarpio have optioned it for a movie. In his long-awaited return after ruining all of our lives with The Fault in Our Stars, John Green shares the story of Aza Holmes—a 16-year-old girl suffering with the ever-tightening spirals of her own brain. And he does so with shattering, unflinching clarity in this brilliant novel of love, resilience and the power of lifelong friendship. Green refuses to dumb anything down and treats teenagers like people who deserve the same respect as adults. Aza’s anxiety and mental health continue to be an unrelenting problem in the narrative, and at times can be painful to read because you literally want to extend a hug to her through the pages. No one is too old for YA fiction, and this one doesn’t disappoint. Neil deGrasse Tyson occupies an interesting place in pop culture. Somewhere between the Redbull-gulping “F—k yeah science!” Redditors and the Scientific American academia wonks, deGrasse Tyson translates the Latin of the later into the vulgate of the former. A lot of pop science writing gets reduced to trivial factoids (“Did you know a group of jellyfish is called a ‘bloom’?”), but deGrasse Tyson actually isn’t interested in watercooler chatter. He teaches actual comprehension. Few topics in the United States today are more discussed and less understood than racism. It’s one of those things people tend to think they have a grasp on, and if you pressed them on why they feel that way, they’d mumble something about “common sense” or “having black friends.” But Ta-Nehisi Coates does understand racism, and as much as he wrestles with his anointing as the country’s pre-eminent writer on race, he is also willing to plumb its depths with an expertise and eloquence few can match. Coates is well-lauded for communicating the multitudinous ways slavery continues to inform race relations on both individuals and systemic levels in American society, but he doesn’t get enough credit for his actual mastery of writing. Coates is a once-in-a-generation writer, speaking out one of the most vital topics of the day. In We Were Eight Years in Power, a collection of essays about how the Obama Administration slowly gave way to President’s Trump’s, he is at the peak of his craft. Sometimes the hardest thing about life isn’t the great tragedies, but the ongoing, day-after-day mediocrity. Wake up, brush your teeth, make breakfast, do laundry. It can all be so boring, but Tish Harrison Warren is fine wayfarer through mundanity, and has a real gift for exposing the terrible beauty of the trivial. Liturgy of the Ordinary is a guide, a map and a poetic methodology to seeing your daily routine as a sacrament—not a bog to wade through, but a liturgy to draw near to God with. This lyrical novel is ostensibly about a mother and her two children on a brief roadtrip, but through Ward’s matchless eye for the souls of her characters, it becomes a much longer journey—one into not only her characters, but their histories, and the events—both small and large—that turned them and their families into who they are today. A desperately sobering read with the lightest touches of magic realism that serve to drive home the crushing reality of one family in Mississippi coming to grips with their legacy. Jennifer Egan is a storyteller profoundly interested in the arbitrary points we pick for the beginnings and endings of stories. She takes a long view, seeing her characters as products of the decades that came before them, and the people and events that led to their present conundrums. In the hands of a lesser writer, her stories could read like history books, but Egan is one of the finest writers of her generation, and Manhattan Beach is another notch on her increasingly impressive post. In 2017, few authors had their fingers more firmly on the pulse of America than Angie Thomas, who crafted a young adult novel that is really for youth who don’t feel very young, and have been forced to grow up fast by the terrifying circumstances our country finds itself in with regard to police brutality. It’s not just about police shootings of unarmed black people, though it’s about that too. It’s about the twin Americas we inhabit, countries in which not just our experiences, but our very epistemologies seem to be from different universes, and how one girl is forced to reckon with them both.